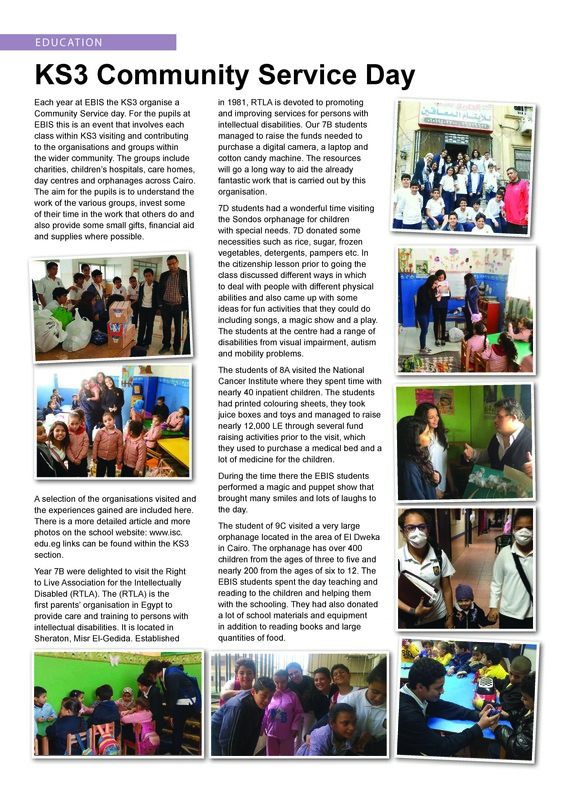 The year 10 students of FLAME at EBIS went on their community service trip. 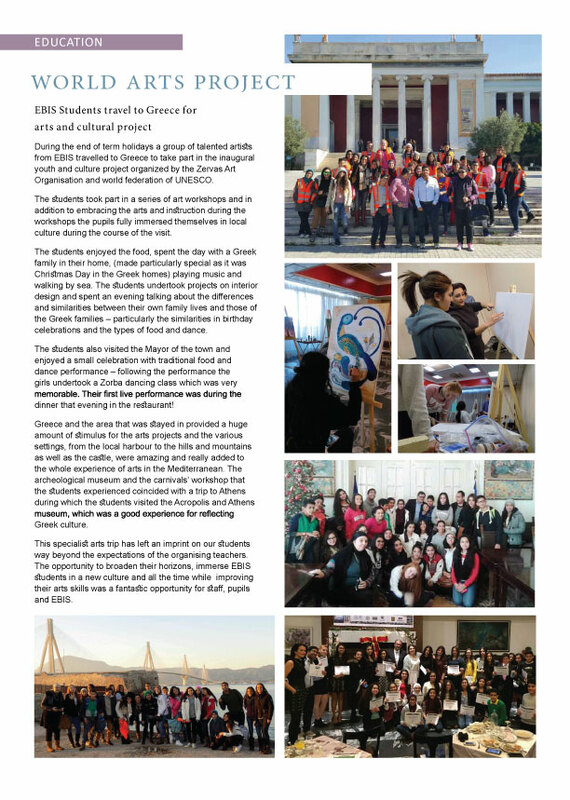 During the last two weeks of February KS3 students from EBIS were given the opportunity to visit India. Each year at EBIS the KS3 organise a Community Service day. 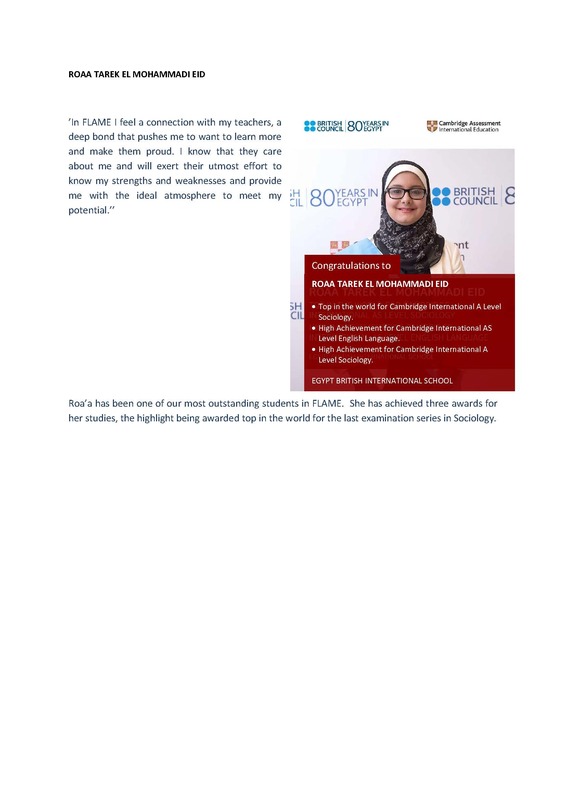 Over the course of this term the Key Stage 4 students at EBIS have been involved in two important award ceremonies recognising the hard work and dedication they have shown in their studies and exams. 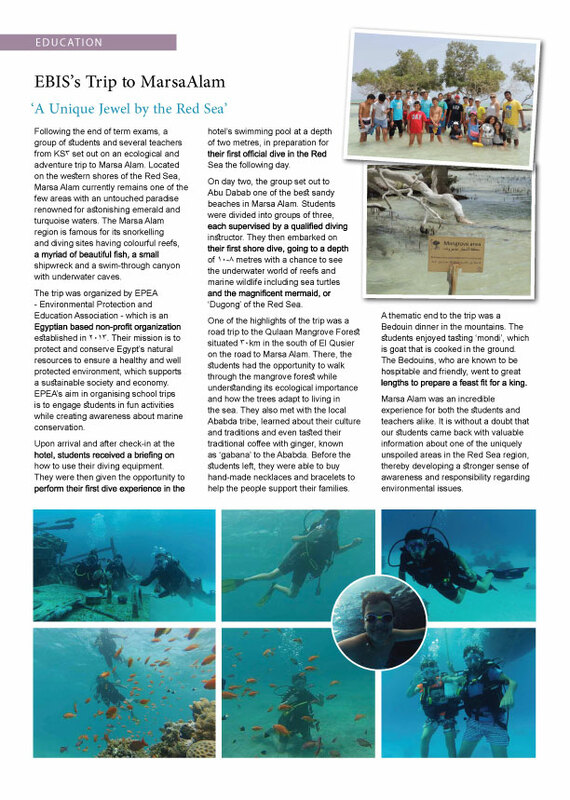 Following the end of term exams, a group of students and several teachers from KS3 set out on an ecological and adventure trip to Marsa Alam. 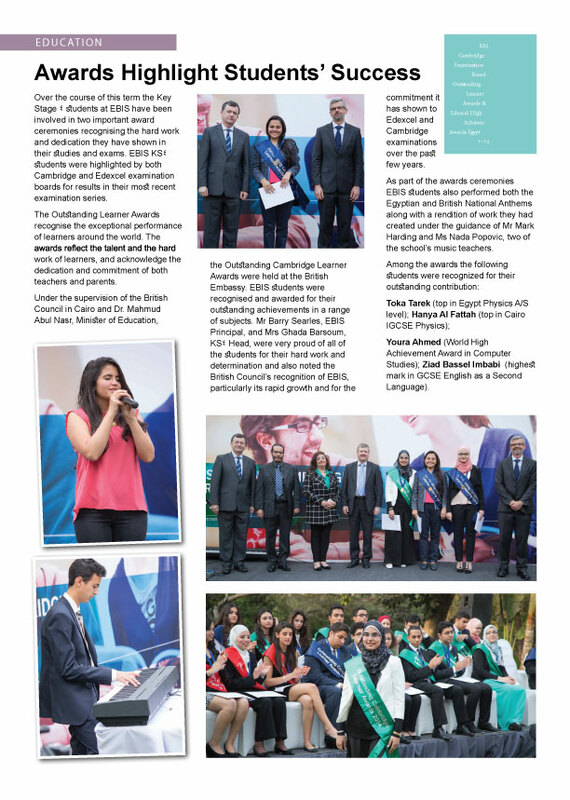 As EBIS enters its 10th year, we are proud to introduce a new beginning as we strive to continue with the educational excellence that our students deserve. So far this year Key Stage 2 in EBIS has had a focus on the learning and teaching of humanities. 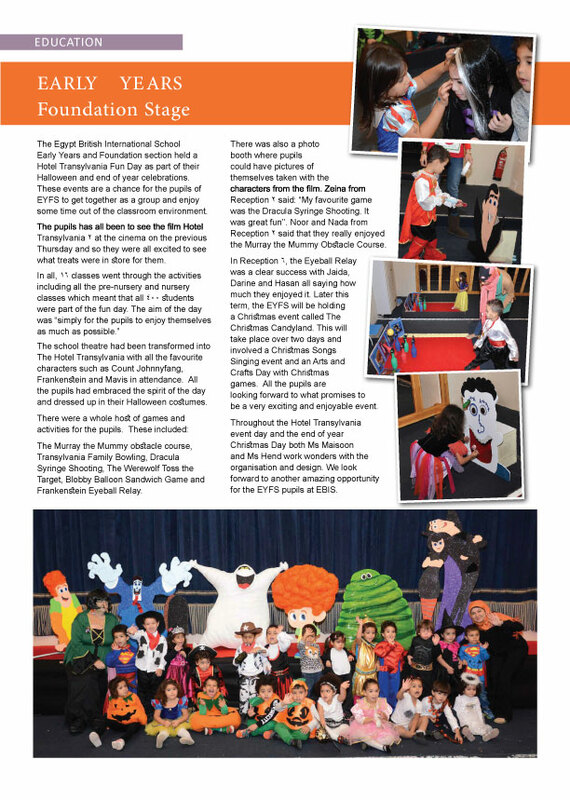 The Egypt British International School Early Years and Foundation section held a Hotel Transylvania Fun Day as part of their Halloween and end of year celebrations.